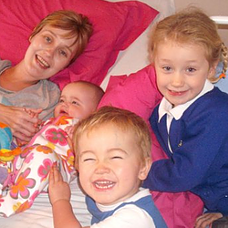 Jen's Special Place is a child bereavement support group based in Scunthorpe, North Lincolnshire. The group ultimately aims to support children in expressing their grief and exploring their feelings in a safe and emphatic environment; enabling them to grow through each others experiences. Parents and carers also benefit from our service; offering group adult counselling and an opportunity to speak with others in similar circumstances. Find out about Jen and how Jen's Special Place came to be, our vision, mission and values. We really appreciate your support - in time volunteering, fundraising or making donations. We'd love you to become a supporter of Jen's Special Place.